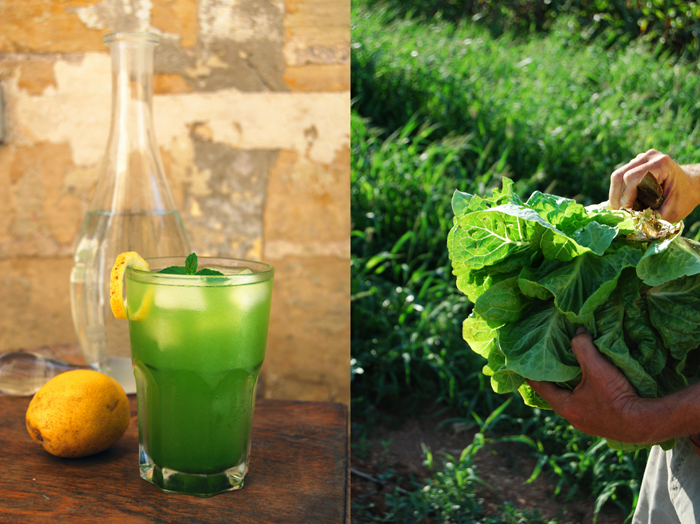 My Maltese brother Alex has been telling me about his own juices, lemonades and non-alcoholic cocktail creations for months and when I saw him in the kitchen, chopping herbs and fruits, crushing ice cubes and working on new colourful compositions every few days, I asked him if he would like to come up with a refreshing lemonade recipe for eat in my kitchen. It was a hot afternoon and I had just come back home from my visit to a farm in Bahrija. 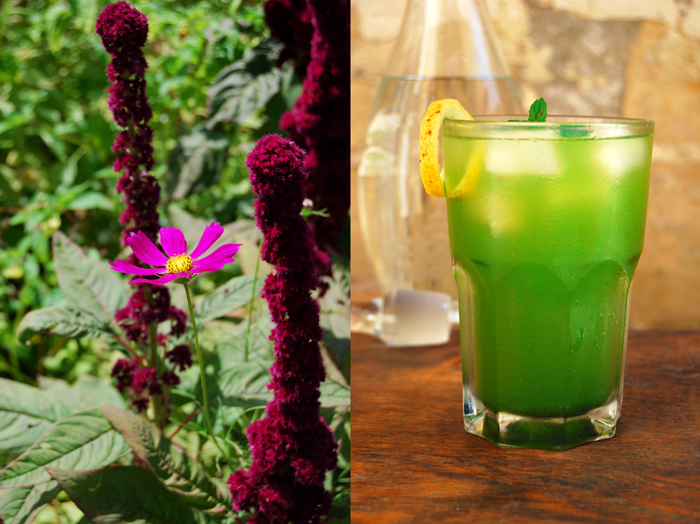 I had a peppermint plant in my hand which I got from Peppi Gauci who runs the Bahrija Oasis farm and Alex decided to mix a chilled basil and mint lemonade for me. It was delicious, not too sweet, fresh, lemony and with strong herbal flavours! 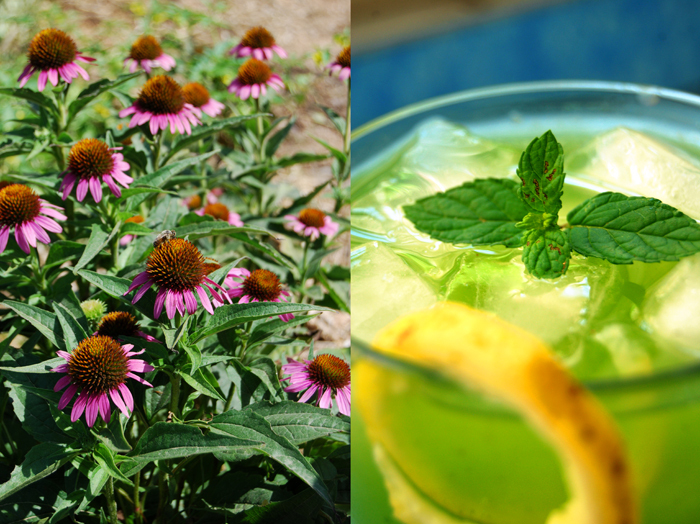 You should try this recipe on one of these hot August afternoons, you just need to mix everything in a blender and within a few seconds you’ll have a drink ready to revitalise your senses! 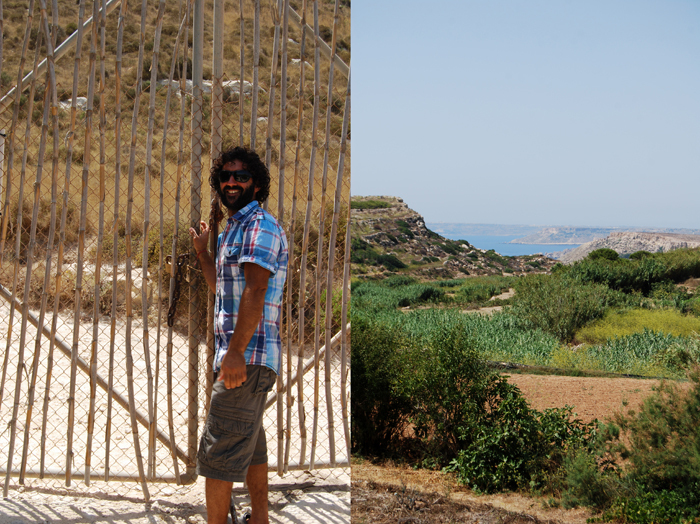 In the past few weeks I went to two farms in Malta which have completely different visions and approaches to farming. 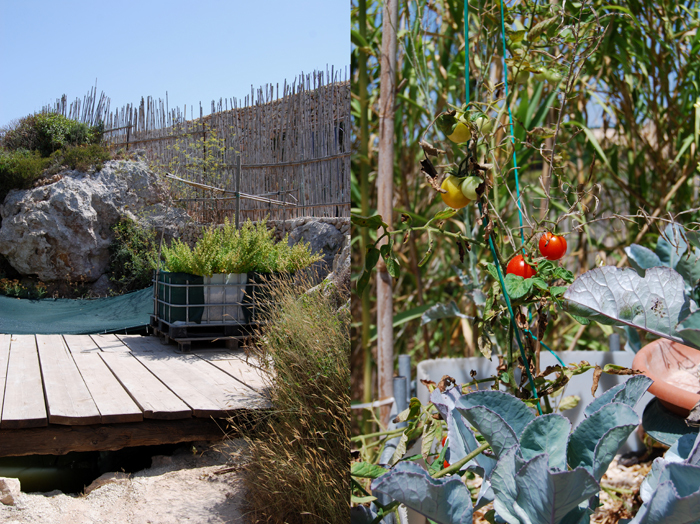 One of them is Bahrija Oasis which is a bio dynamic farm with organic produce (although not certified organic). 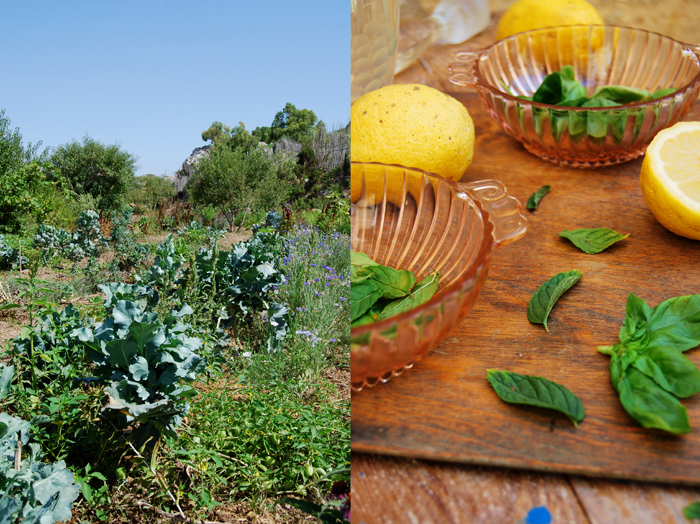 Bahrija is part of the Permaculture Research Foundation Malta project, a holistic design philosophy which aims to create “community eco-systems in which plants, animals and human beings, and all forms of ecological diversity interact to produce a prolific, ecologically-sound and regenerative system that can support itself and life indefinitely”. The idea is to provide all we need to live, like food, water, shelter, energy and health consistent with the Earth’s natural balanced ecosystems, symbiotic and synergistic. This project brings together likeminded people with interests in green issues, ecological designers and students and the Bahrija Oasis provides the ground and platform for this work. 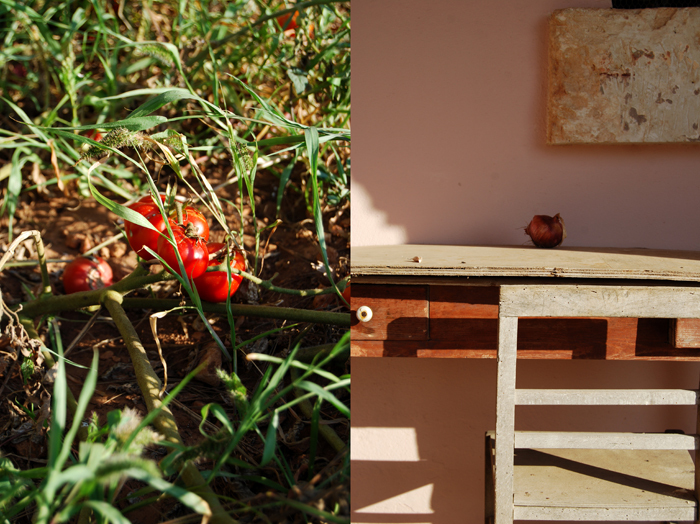 Eleven years ago Peppi got the land from his family and it wasn’t cultivated at all at that point, just rocks, some weeds and steep hills, but over the years he managed to establish a working permaculture project. 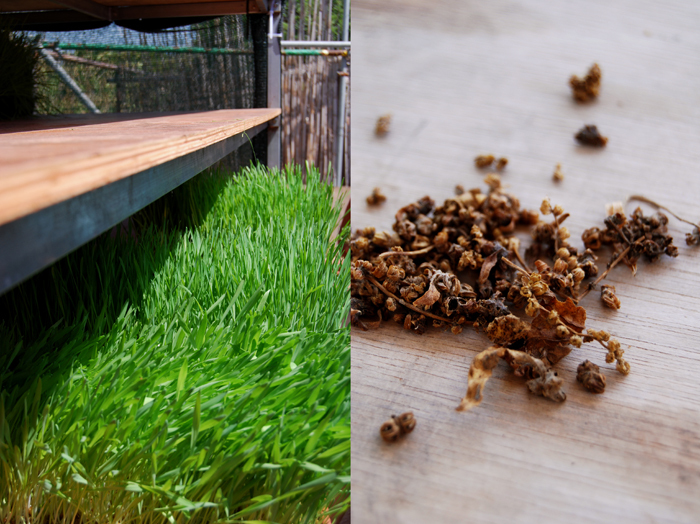 He changed the dry and arid landscape into a fertile farm, a biotope with a much greater biodiversity producing organic crops such as sprouts, herbs, seeds, medical plants and vegetables. Many students and volunteers visit the farm to learn more about sustainability, eco-education, wildlife and permaculture at the workshops hosted at the farm. If you’re interested, just visit permaculturemalta.org and ask Peppi about the workshops! To get to the farm, we had to walk along a little stream covered with tall bamboo for about 10 minutes. 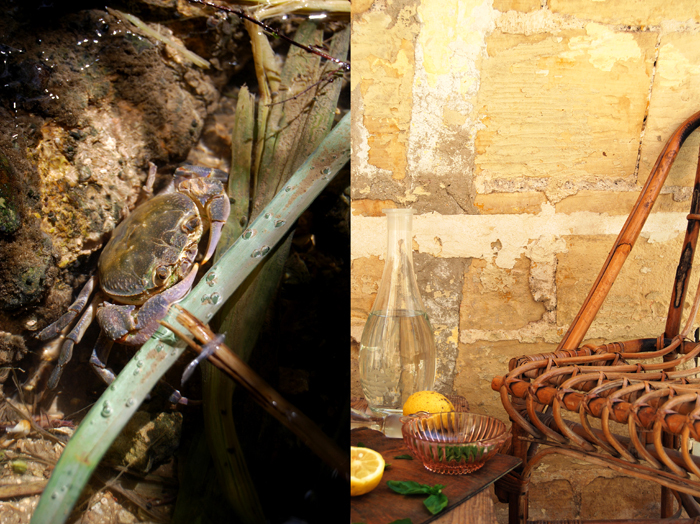 This water is home to the very rare, endemic Maltese freshwater crab, Qabru. Their population is declining steadily and we were lucky to find one in the shallow water looking at us! 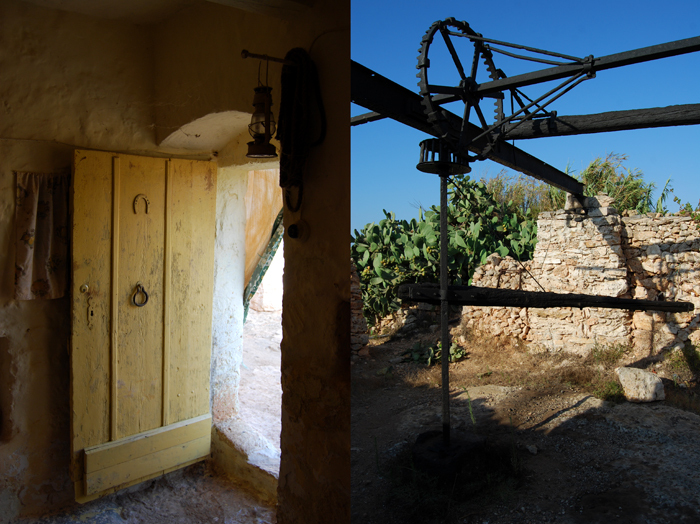 My second visit brought me to a beautiful place in Ahrax in Mellieha which is owned by Louis Cini (you can see his farm in the last 10 pictures). It’s been in his family’s hands for generations and his concept is completely different. It’s a certified organic farm producing a great selection of wonderful fruit and vegetables. 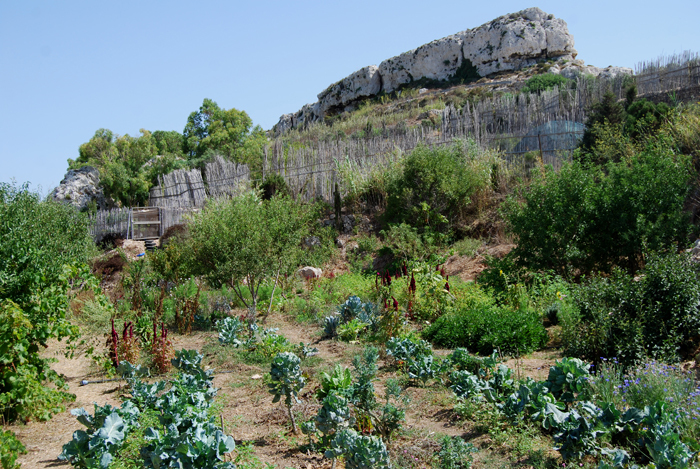 Organic farming isn’t as established in Malta as it is in northern Europe but Louis is one of the pioneers. 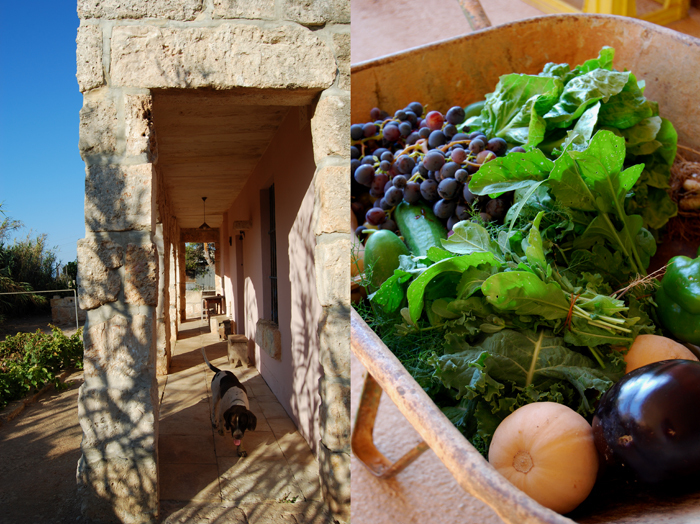 His fields produce some of the best grapes, figs and tomatoes I’ve ever eaten. He also grows sweetcorn, various kinds of lettuce, cabbage and marrows and much more, this farm looks as peaceful and welcoming as Louis’ smile! 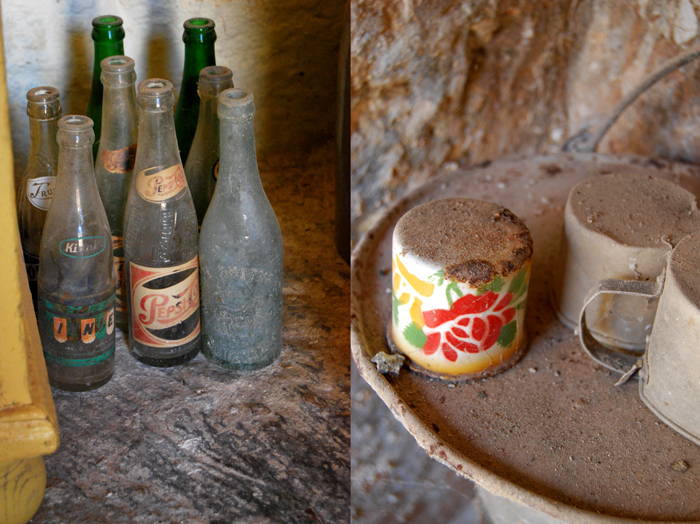 What made this visit very special to me, apart from meeting Louis, was being able to see the old rooms at the back of the farm which are no longer used and where his relatives used to live. Louis decided to leave them untouched, in the exact way they looked when his uncle who was the last to live there, passed away. It felt like traveling in time, to see the old furniture, the small, very basic kitchen working without electricity in the olden days, colourful enamel cookware in shelves that have been rusting for years, battled boots from the times of war, manual farming tools under piles of dust, quilts and pillows, photographs eaten away by time, by the wind and the salty air. Louis told me to take pictures, and I took many but at first I wasn’t sure if I should show them. It felt like such an intimate insight in someone’s life who isn’t even here but Louis encouraged me, he feels proud to share his family’s heritage. 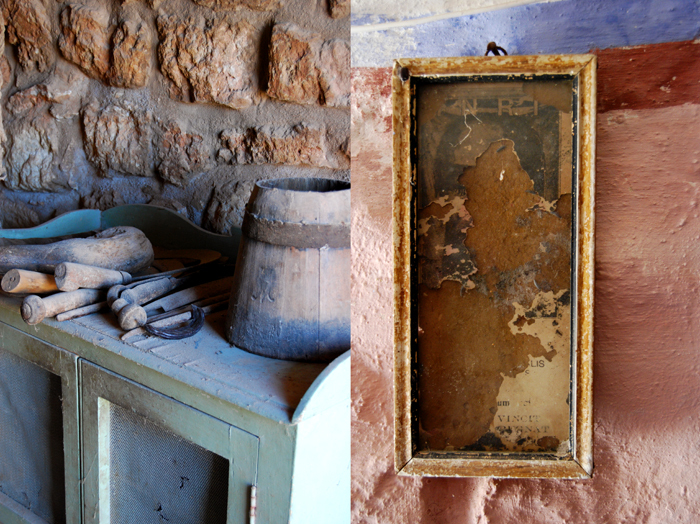 This is what life in the Mediterranean looked like 100 years ago, nothing changed in these rooms, this is a great gift! Put the ingredients in a blender and mix well. Fill the lemonade in big glasses with ice cubes. What a wonderful combination of flavors…and the color is gorgeous. Was the lemonade strained before serving? Have a great day, Meike.